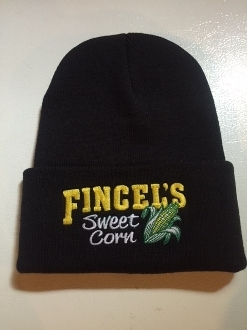 Our Fincel's Sweet Corn Super Stretch Knit hat will keep your head warm when it's cold outside. Made of Acrylic Super Stretch Knit. Our hat features our logo embroidered on the cuff. One size fits most.